VPNs allow users to securely connect and access private networks and transfer data remotely through the open internet. It is much like a wide area network (WAN), but the front end retains the same appearance, functionality, and security as seen on the private network. It works to protect your information on the internet like how a firewall protects it on your device. As a client, you ought to demand these essential and fundamental benefits from your VPN service provider. You should be able to connect to your VPN from anywhere in the world. Your VPN ought to grant access to any number of users even when it has hit the maximum number of users using it at any one moment. A VPN should protect your data while it is in transit from your private network to wherever you are and if hackers tried to view and access your data, the VPN ought to restrict access. Your needs may grow with time, a VPN provider ought to handle any scaling up without the need to replace the technology. 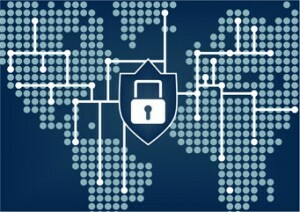 There is a growing trend that one can connect to more than one VPN to increase safety. This is possible through chaining of VPNs. It is possible to chain your VPN to route your information securely between two or more VPNs. This increases the security for your information, but at the expense of how fast you can connect to the internet. This process of chaining VPNs is possible if your provider offers the chaining services, but you can do it using a Virtual Machine. The processing power of your computer will be the only limitation to the number of VPNS you can connect, and the decision is yours to use two or more VPNs. In conclusion, connecting to two VPNs at a time offers better security. However, if you are not ready to give up your connectivity speeds, it is not a good choice to make. Presently, there is no upper limit of how many VPNs you can connect to, but you have to trust more VPN services with your data.